Free yourself from the restraint of a traditional blazer with this unstructured design. It's softer in the shoulders for a more relaxed fit and is half lined for easy layering as part of a suit, or over a shirt and jeans. 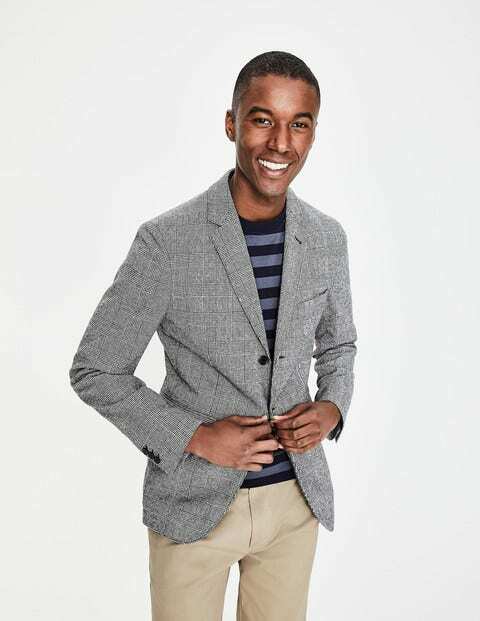 The fit may be modern, but this blazer exudes heritage – it's crafted in a Portuguese workshop, which has over 100 years of expertise and is cut from sublimely soft, lightweight wool with a Prince of Wales check for a thoroughly British feel. Consider it a winner for, well, just about any occasion.